Would you like to support one of the most innovative contemporary arts festivals in London and gain valuable skills? Applications to volunteer for Art Night 2018 are now closed. If you would like to show interest in being a Guide for Art Night 2019, please fill out the following form. 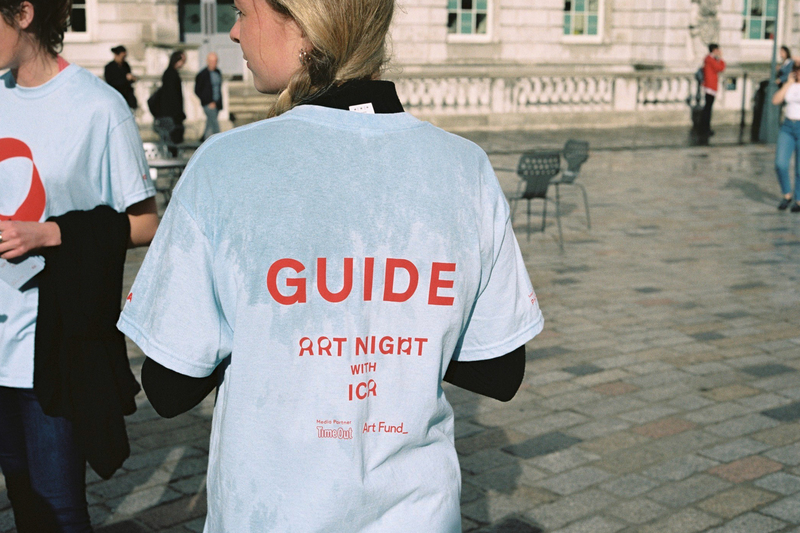 As an Art Night Guide, you’ll receive professional training to help you guide visitors around exceptional sites from 6pm–late, teasing out the artistic and historical facts that make the experience accessible and unforgettable for everyone attending.